I have considered giving a swisstool a try. I like the idea of all tools being on the outside and locking. How are they compared to a leatherman? In my personal opinion the Swisstool and Swisstool Spirit line are far superior to Leatherman in fit and finish. There have been a lot of people mentioning the pliers head having some play in them which seems normal for the Swisstool. I have noticed the same, but the ones I own have minimal play and have not gotten worse so it is not really a issue for me, but it is worth noting. None of the tools are one hand opening, but for me this is not normally needed so it is not a issue for me. The rust resistance is much better than Leatherman due to the high polish, but in turn that leads to less grip especially when your hands are wet or sweaty. Another thing worth noting is the Swisstools do not offer higher quality steel in the main blade like Leatherman, but that is a personal preference kind of thing and again it is not a issue for me. The pliers head are a different shape than Leathermans which is also a preference thing. They are more of a hybrid design between a blunt nose and needle nose. These are just a few things off the top of my head. If you have any specific questions please feel free to ask. You might also want to investigate the later (locking) versions of the Bear Jaws tools - it is believed that Victorinox purchased the company to get the patents for outside opening tools. If you like an MT that feels very precise and well-engineered then definitely have a good look at a Swisstool and a Spirit. 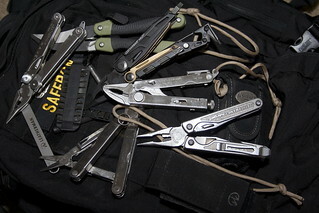 I have both Swisstools and a few Leatherman tools that are however among the most celebrated. As already mentioned the fit and finish of the Swisstools is uncomparable. I consider them jewels and I said that many times. They are rewarding for the touch, vision and audition, since they make that nice snaping sound when you open and close the various tools. The rivets are fixed and the tools are neither loose (as in my Surge) nor stiff (as in my Charge). The Spirit has the most ergonomic handles I have seen. Both tools are respecting your hands. The Swisstool has a unique ability to measure right angles and in general it has a great ruler feature. They both have individual spings and a great locking mechanism that can be accessed from two sides with the thumb. They both have some both higly evolved over the course of a century tools (like the Swisstool's Vic blade, a bigger version of the 91-93mm one, the can opener, bottle opener, the saw and newer type of file, the Philips head) and unique tools like the chisel/scraper/wire striper and the awl with hook. Most Swisstool tools are bigger than the ones on the 91/93mm SAKs and some of the Spirit's are smaller, except the bottle opener/driver that is a great prying tool. So they add capabilities to a SAK owner. In fact I think that Vic should make a Swisstool companion SAK, lacking all the tools of the Swisstool or Spirit and having only the ones they don't have (scissors, magnifier, nail file, scale tools, Cybertool, pruner, electrician and watchmaker's blades, small blade, corkscrew etc). It would make a perfect set and save weight money and space for not having a Swisschamp or Cybertool doubling the same tools. You can open two tools in opposite handles and make a long tool for reaching distant objects. You may align the handles open and use the blade with a thin handle formation. The blades' edge are always free from obstacles, compared with inside opening multitools. All driver's have longer reach and you can add Torx/Hex capability with the Vctorinox wrench/ratchet or an easy to make adaptor for the Philips driver. The hybrid pliers are more versatile. You can handle a nail coaxially for example. Vik's pouches have always been the best and the most beautiful and there are Plus versions with space for bit kits, wrench or ratchet, corkscrew and mini driver. The nylon OD MOLE military pouch is very thin and that also has space for the adapters and a bit kit. They are more "Rostfrei" and they have the most reassuring logo ever engraved on them. Then, what's left for Leatherman? Well, they have a greatest variety for starters. There are 4-5 different sizes with different tools and different colors. There are also scissors and shears centered tools, even locking pliers. There are other tools like the OHO and inside, outside and mixed tools. I don't compare the Supertools and Rebars since they are like Swisstools but with inside opening tools and lacking in many features I described above. I won't compare Squirts and Juices because they are of a SAK size and functionality. Neither OHO, military, garden and other specialized tools. What is left is the Surge and the Wave/Charge. These have some very nice features, among them the outside one hand opening tools, blade exchanger for the Surge, bit driver with space saving bits, the gut hook of the Charge (I love that), the small bit driver (great for the Wave/Charge that are light enough to use it, irrelevant in the heavy duty Surge), the diamond file (especially the Surge's that can sharpen it's blade), the carbide cutters (not universally available yet and not needed for regular jobs), the better steel of the main blade (I only trust SV30 and not the 154CM for some reason), the universally double blade configuration (I like to use the serrated blade for most tasks, saving the plain edge's life), the included lanyard hole and the additional bigger lanyard hole and, most useful, belt clip. I am not a collector but a user of light to medium duty tasks. I like both styles but Swisstools better. I decided to leave the heavy Swisstool and Surge behind in order to carry both the Spirit and Charge TTi. I take out the TTi always, because of the OHO blades mostly. When I need two pliers (that's more often that I thought it would be) or longer reaching drivers or a specialized function (like the chisel or the awl or the hook) I take out the Spirit. I could use the Spirit for most tasks I am using the Charge though if I only had that (and I did that for many months before I got the Charge with no problem). I am just an MTO member, so I had to have both. 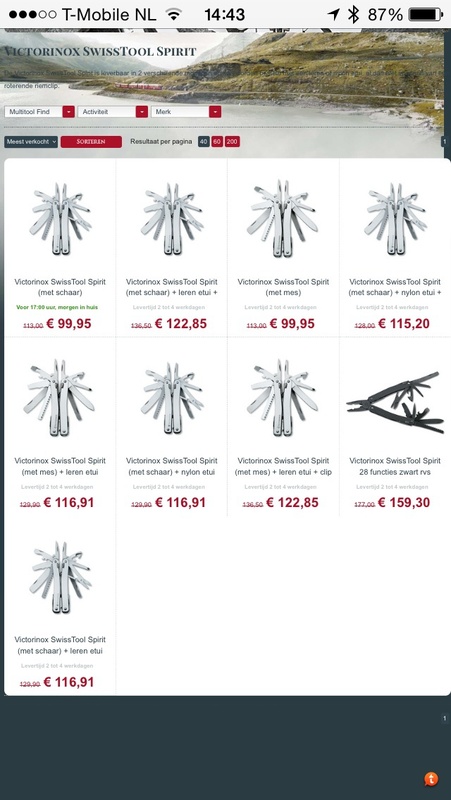 If a had to choose just one for any reason, I would choose the Spirit if I was in Europe and the Charge if I was in the Americas (or the Swisstool and Surge repectivelly if I was a manual worker and not just a hobbyist). And I would be happy with both. Not an expert, but I have both a LM ST and a Vic Spirit X. But for me... when I got my Spirit it went straight to edc while the LM was relegated to car glove box duty. I prefer the Spirit , 95% of the capability , less weight and bulk . F/F , and implement quality is far superior to Leatherman . 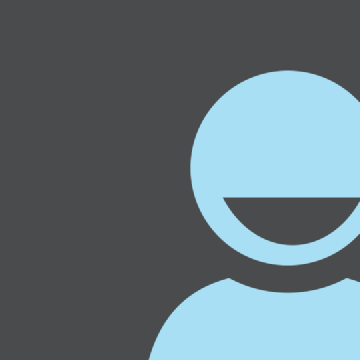 To me it comes down to how much OHO means to you . I always carry a folder , so for me , it's a non issue . I would go with the Swisstool , if I was to be allowed no other tools . You can't go wrong with either a Swisstool, or a Spirit . yep, that's about all you need to know. there will be no regrets. When I first looked at the Swisstools I drooled. I couldnt wait to get one and see what all the fuss was about. When I finally got one ( a very used Swisstool ) I was no less impressed. They are so gorgeous and the build quality is excellent even the old tool I got felt and looked great. Like any new tool I was excited to use it and use it I did. I really liked the bluntish plier head and that I didnt have to open the tool to access the other tools. I really liked how this tool felt in hand but mostly I loved how it performed at everything I threw at it. The thickness of the outside tools instills confidence that you can push this tool HARD. My used tool came with a broken serrated blade but a few minutes with the dremil and it was a shorter but no less capable version. I imagine someone really abused the blade for it to break. This tool also had some very minor rust but it was easily cleared away. Over all it was in remarkable shape considering it looked to have had a very hard life. These Swisstools while beautiful are meant to use and use hard. Some hesitate to get after them because of not wanting to mar the pretty polished handles. Mine looks great and has held up remarkably well, heck I say it still looks gorgeous. "As compared to Leatherman", This is the Million Dollar Question isn't it? In my year here at MTo and now having nearly all the Swisstool variations they aren't meant to compete. They are pretty but I wouldn't say better looking. They are very well engineered but look at the Wave, Surge, and Crunch for example those are no slouches. Add the PLUS kit to any Swisstool and BAM! you have a nice capable tool but add the LM bit set and extension and you are also good to go. I love the Swisstools BUT nothing beats my New BO Surge for work detail yet I like the Spirit for off day carry tho I may also bring my Wave. To me it's like choosing between cantaloupe, watermelon, or honeydew melon and to that I say YES PLEASE. Where can I find a list of all the different swisstool and spirit models? I looked on Amazon and there were a crap ton of both. Quite a bit of reading here but this may a good start. Don't Do It!!!!! Forget you ever saw this place!! 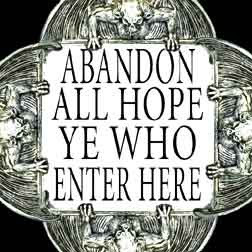 Few that pass this way ever return. No truer words ever spoken. However the seduction is soooo powerful. Damn, this makes me wanna buy a Spirit even more!!! But which one, with the knife of with scissors? + 1 to that, but correct me if I'm wrong, don't they all have scissors I thought the 'options' were only straight blade OR serrated 'butter knife' blade (if we're talking Spirit) ? as to ToolJoes original question, "you NEED to try a swisstool, and a spirit!" you do 'need' the scissors tho ! they sadly aren't as good on a spirit as the standard Victorinox scissors (as seen in the swisstool/SAKs) due to their limited opening. I really like the butter blade since I usually have a straight blade on me ( SAK ). I wasn't a fan of the Spirit scissors however they work and having them on the tool would make the tool stand alone. The butter blade is wicked sharp OTB. Pfff, but where to put it? And it's expensive. Gonna think this over… Hard to buy a used one in The Netherlands. I'll keep my eyes open!!! The Spirit has lots of awesome tools, all with long reach. Like all Victorinox, I'm not a huge fan of the blade shape. It has many tools you don't see on other MTs like the hook, chisel and a extra beefy flat screwdriver.